While the sports media celebrate baseball’s mega deals, the majority of teams have cut payroll. 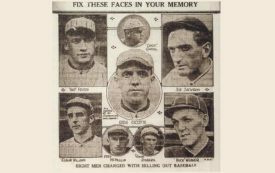 Will the Baseball Caps on Major League Heads Be Union Made? 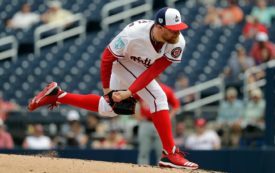 Eireann Dolan and Sean Doolittle join the show to talk about their push to keep caps union made. Legal sports gambling would generate some of the very problems that the revenue from sports gambling would purportedly solve. Julie DiCaro and Bijan Bayne join the show to talk Cubs e-mails and Frank Robinson’s legacy. He was so much more than an athlete. 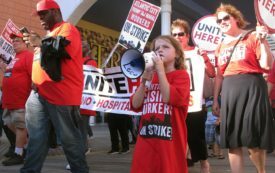 He was a fighter, and we could use more like him today. 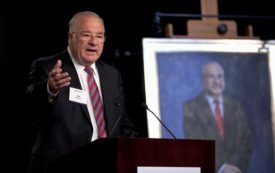 What Is Major League Baseball Doing in Mississippi Politics? 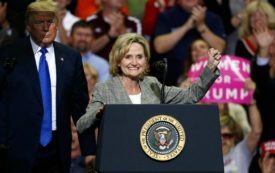 MLB’s now-recanted support of Cindy Hyde-Smith raises a series of ugly questions. 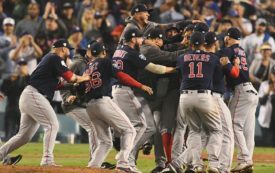 Red Sox values are not Trump values. 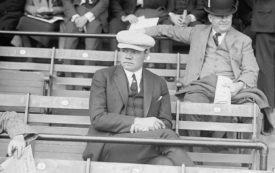 Big Fella author Jane Leavy talks Babe Ruth and the start of the celebrity athlete. 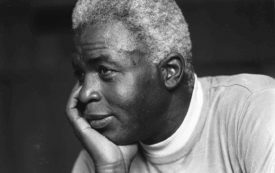 Whither the Jackie Robinson Project? 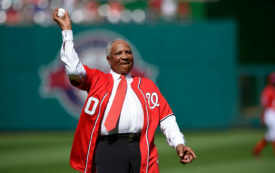 As the centennial of Robinson’s birth approaches, George Washington University plans to cut a project that, through the study of his life, advances our knowledge of the intersection of sports and politics.